It features a square shape. This vessel is designed to be installed as an wall mount vessel. It is constructed with ceramic. It is designed for a 8-in. o.c. faucet. The top features a 4-in. profile thickness. This vessel comes with a enamel glaze finish in White color. It features a round shape. This vessel is designed to be installed as an wall mount vessel. It is constructed with ceramic. It is designed for a single hole faucet. The top features a 6-in. profile thickness. This vessel comes with a enamel glaze finish in White color. It features a rectangle shape. This vessel is designed to be installed as an wall mount vessel. It is constructed with ceramic. It is designed for a single hole faucet. This vessel comes with a enamel glaze finish in White color. It features a oval shape. This vessel is designed to be installed as an wall mount vessel. It is constructed with ceramic. It is designed for a single hole faucet. The top features a 7-in. profile thickness. This vessel comes with a enamel glaze finish in White color. It features a rectangle shape. This vessel is designed to be installed as an wall mount vessel. It is constructed with ceramic. It is designed for a single hole faucet. The top features a 5-in. profile thickness. This vessel comes with a enamel glaze finish in White color. 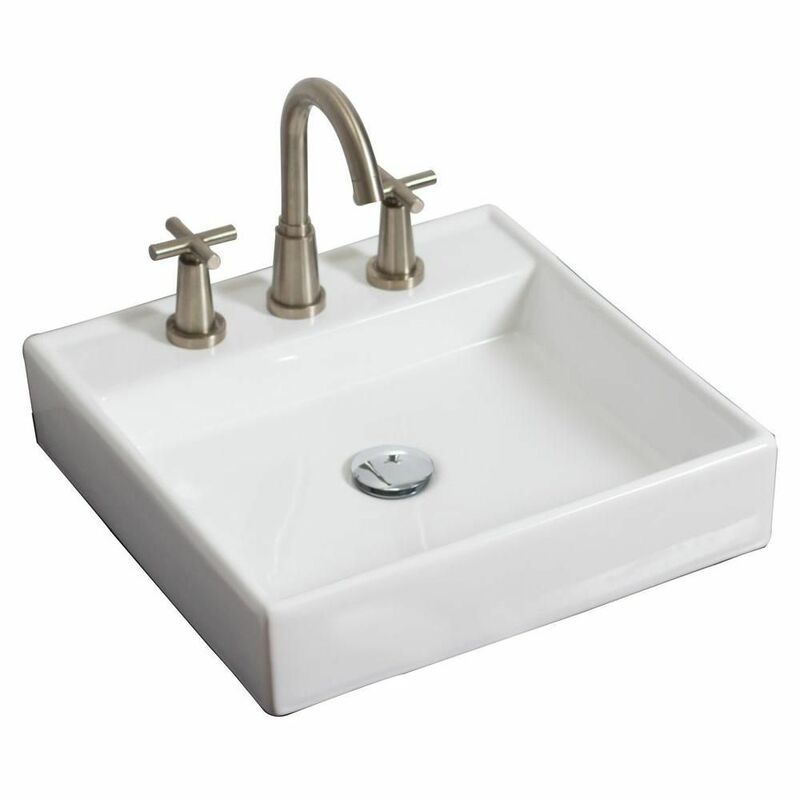 17 1/2-inch W x 17 1/2-inch D Wall-Mount Square Vessel Sink in White with Chrome It features a square shape. This vessel is designed to be installed as an wall mount vessel. It is constructed with ceramic. It is designed for a 8-in. o.c. faucet. The top features a 4-in. profile thickness. This vessel comes with a enamel glaze finish in White color.